In a social engineering attack, an attacker uses human interaction to manipulate a person into disclosing information. People have a natural tendency to trust. Social engineering attacks attempt to exploit this tendency in order to steal your information. Once the information has been stolen, it can be used to commit fraud or identity theft. This brochure explains the meaning of these common attacks and provides tips you can use to avoid becoming a victim. Website Spoofing is the act of creating a fake website to mislead individuals into sharing sensitive information. Spoofed websites are typically created to look exactly like a legitimate website published by a trusted organization. Do not click links on social media sites, pop-up windows, or non-trusted websites. Links can take you to a different website than their labels indicate. Typing an address in your browser is a safer alternative. Only give sensitive information to websites using a secure connection. Verify the web address begins with “https://” (the “s” is for “secure”) rather than just “http://”. 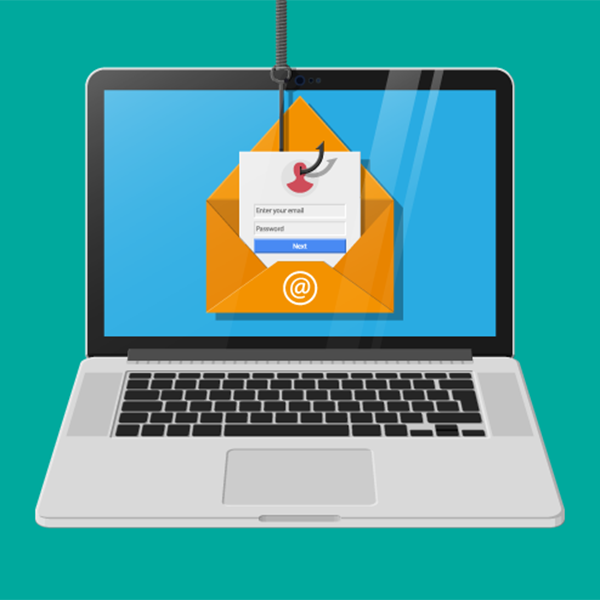 Phishing is when an attacker attempts to acquire information by masquerading as a trustworthy entity in an electronic communication. Phishing attacks are typically carried out through email, instant messaging, phone calls, and text messages (SMS). Delete email, text, and social media messages that ask you to confirm or provide sensitive information. Legitimate companies don’t ask for sensitive information this way. Beware of visiting website addresses sent to you in an unsolicited message. Even if you feel the message is legitimate, type web addresses into your browser instead of clicking links. Try to independently verify any details given in a message directly with the company. Utilize anti-phishing features available in your email client and/or web browser. Also, utilize an email SPAM filtering solution to help prevent phishing emails from being delivered. Do not open attachments from unknown senders or unexpected attachments from known senders. Be cautious of the amount of personal data you make publicly available through social media and other methods. Contact us immediately if you suspect you have fallen victim to a social engineering attack and have disclosed information concerning one or more of your accounts. Regularly monitoring your account activity is a good way to detect fraudulent activity. If you notice unauthorized transactions in your account, notify us immediately. Configure your device to require a passcode to gain access. Avoid storing sensitive information. 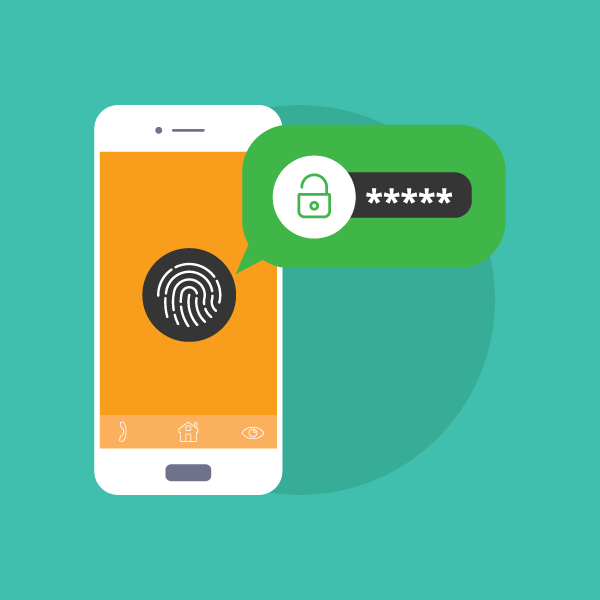 Mobile devices have a high likelihood of being lost or stolen, so you should avoid using them to store sensitive information. If sensitive data is stored, enable encryption to secure it. Keep your mobile device’s software up-to-date. Delete all information on a device before the device changes ownership. Use a “hard factory reset” to permanently erase all content and setting stored on the device. “Sign Out” or “Log Off” when finished with an app, rather than just closing it. Do not jailbreak or otherwise circumvent security controls. Never click on suspicious links in emails, tweets, posts, or online advertising. Links can take you to a different website than their labels indicate. Typing an address in your browser instead of clicking a link in an email is a safer alternative. Ensure your information is protected as it travels across the Internet by only submitting sensitive information to websites that use encryption. Verify the web address begins with “https://” (the “s” is for “secure”) rather than just “http://”. Some browsers also display a closed padlock. Do not trust sites with certificate warnings or errors. These messages could indicate your connection is being intercepted or the web server is misrepresenting its identity. Avoid using public computers or public wireless access points for online banking and other activities involving sensitive information, when possible. 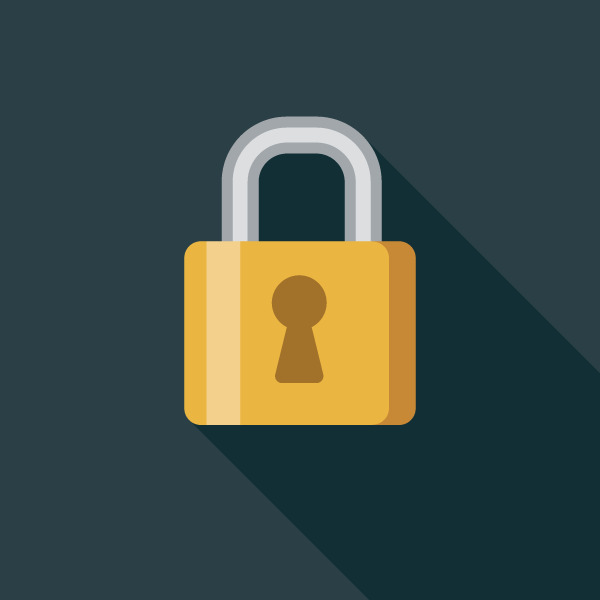 Always “Sign Out” or “Log Off” of password protected websites when finished to prevent unauthorized access. Simply closing the browser window may not actually end your session. Update your software frequently to ensure you have the latest security patches. This includes your computer’s operating system and other installed software (e.g., web browsers, Adobe Flash Player, Adobe Reader, Java, Microsoft Office, etc.). Automate software updates, when the software supports it, to ensure it’s not overlooked. Use firewalls on your local network to add another layer of protection for all the devices that connect through the firewall (e.g., PCs, smart phones, and tablets). Use a cable lock to physically secure a laptop when the device is stored in an untrusted location. Create a unique password for all the different systems/websites you use. Otherwise, one breach leaves all your accounts vulnerable. Never share your password over the phone, in texts, by email, or in person. If you are asked for your password, it’s probably a scam. The longer the password, the tougher it is to crack. Use a password with at least eight (8) characters. Every additional character exponentially strengthens a password. Avoid using obvious passwords such as names (e.g., your name, family members’ names, business name, username, etc. ), dates (e.g., birthdays, anniversaries, etc. ), and dictionary words. 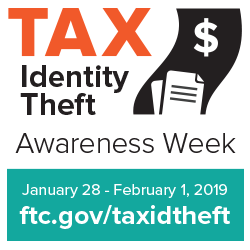 Tax identity theft happens when someone uses your Social Security number (SSN) to get a tax refund or a job. You might find out it’s happened when you get a letter from the IRS saying that more than one tax return was filed with your SSN, or IRS records show you earned income from an employer you don’t know. Or, the IRS may reject your efiled tax return as a duplicate filing. File your return as early in the tax season as you can. Use a secure internet connection if you file electronically, or mail your tax return from the post office. And visit Tax-Related Identity Theft to learn more. It is always a risk to share personal information on the Internet, but it is even riskier to share it and then lose track of it. For a helpful list of how to get rid of some common social media accounts once and for all, visit the Consumer Reports website. Most people do a lot more shopping during the holidays. There are gifts to buy, events to attend, and lots of good deals. But unfortunately, scammers know it’s a high volume shopping time and they look for ways to take advantage of busy consumers. According to an article from Forbes, “cyber attacks are on pace to jump by nearly 60% this holiday season, compared to other months throughout the year.” Some simple ways to protect yourself include shopping at websites from trustworthy brands, when dealing with sensitive information (such as your credit card number) avoid using public Wi-Fi, and keep your electronic devices up to date. For more tips on how to shop safely, visit the Forbes blog.